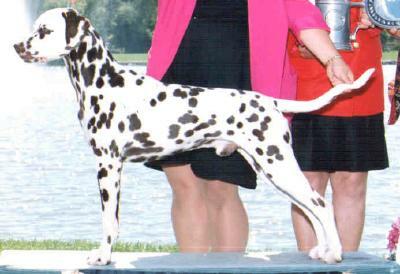 Sold as a puppy, Tex finished in just eight shows after being reacquired at 14 months. He finished with a BOB and BOS over group winning specials and back to back BOW majors during a specialty weekend including WD/BOW at the 1995 Twin Cities Specialty under breeder/judge Ronnie Ellen Fischler. After a successful show career, Tex retired to live in Gainesville, FL with the Taylors.